Congress Park neighborhood features a range of properties including many of Denver Squares and Bungalows. Most properties in this neighborhood tend to be fairly old, unlike some of the more recently redeveloped areas of Denver, although here are some high rise buildings dating from the 1960’s. Other notable buildings include some Art Deco apartment blocks and the many grand houses along 7th Avenue. part of the 7th Avenue Historic District falls within the neighborhood of Congress Park. This is one of the most interesting parts of the city, with a range of architectural styles including Victorian, Mission, Italianate, and Dutch Colonial homes. The Congress Park Neighborhood Association is very active, running an annual series of lectures for residents on the preservation of the area’s historic homes, as well as regular social events. Congress Park has many attractions of its own, and there are many small stores and family businesses tucked away in its historic streets. 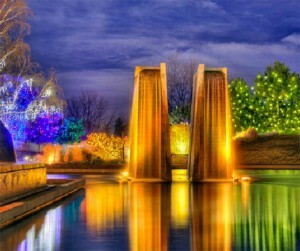 The Denver Botanic Gardens is on of the most popular attractions in the area. They have an amazing selection of plants and also host regular concerts during the summer months. The park has a range of sporting facilities including eight tennis courts, soccer, softball, baseball fields and multi-purpose sports fields, a basketball court, and an outdoor swimming pool. There are a number of picnic areas, a picnic pavilion, and a children’s playground.